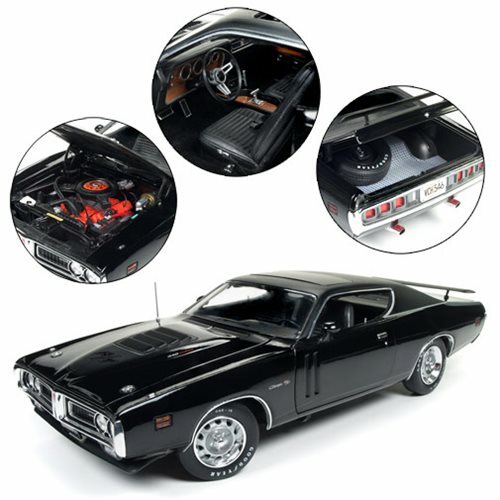 The 1971 Dodge Charger R/T 1:18 Scale Die-Cast Vehicle comes packaged in a window collector box. The highly detailed die-cast vehicle comes in TX9 Black color. Ages 13 and up.